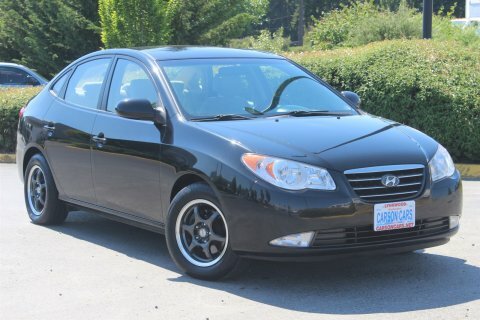 Have you been shopping around with private sellers on your quest for used Hyundai cars for sale in Bellevue? Maybe you have also been to your local dealership to look at some of the high priced, brand new Hyundai vehicles that are available today? Sometimes, it is going to be best that you are able to find a happy medium between these two extremes. This is where Carson Cars comes in as your award winning dealership in customer service several years in a row. Not only is Carson Cars well known for great customer service, but they are also famous for low pricing and vast selection. Whether you want to have a new to you Hyundai that is going to save you money at the gas pump or you are hoping to find a low cost option that is just right for a first time driver in your family, Carson Cars is the answer. This is a dealership that takes pride in offering nothing but the best and they work to make sure that you feel like a part of the family from the very second that you arrive on the lot to browse the selection. Take your time to stop by and see what we have to offer in terms of quality Hyundai cars for sale. You can take a test drive and then once you fall in love, you are set to talk with the in-house financing department so that you are truly able to get in on a deal that you can live with. Buy your next vehicle with Carson Cars and shop used Hyundai cars for sale in Bellevue. Call us (855)583-9356 today for selection and pricing information.